As a concerned, patriotic citizen sikaMthwakazi, I believe it is my duty to help people open their eyes with the way Chief Nhlanhlayamangwe Khayisa of Ntabazinduna has managed to destroy efforts to safeguard Mthwakazi. Khayisa is a selfish attention seeker who has always used Mthwakazi sensitive issues in media to push his attention seeking agenda. The naive Mthwakazi politicians and some members of society have blindly followed his preachings that in most cases end after his public speeches. Mthwakazi people are so easy to manipulate, you just pretend as if you represent them and the next thing they will believe you and protect you from all your selfish planning, thereby destroying them. During the election season, Khayisa teamed up with the vocal MRP through treaties and so on. MRP thought that it had found a saviour and never questioned Khayisa's public political involvement through chieftaincy. A man who could silence a Mthwakazi political watchdog like MRP can get away with anything. When MRP had thought that Khayisa was on their side, he changed the goalposts and was seen in photos with opposition party leader Nelson Chamisa. This was because he had seen that MRP had lost elections and could no longer be a vehicle to achieve attention seeking. Any MRP member can see that he had downplayed them and has got away with it. As the Mthwakazi kingship was gaining momentum, Mthwakazi Chiefs regrouped through the RCC (Royal Crown Council). Our Chiefs could now work as a team under the hierarchy of RCC. This did not go well with the attention seeking Khayisa because the hierarchy structure did not put him as the head of the RCC, which also acted upon decisions taken by majority Chiefs and not one individual. It was a matter of time before Khayisa would find loopholes and try to destroy the RCC efforts. 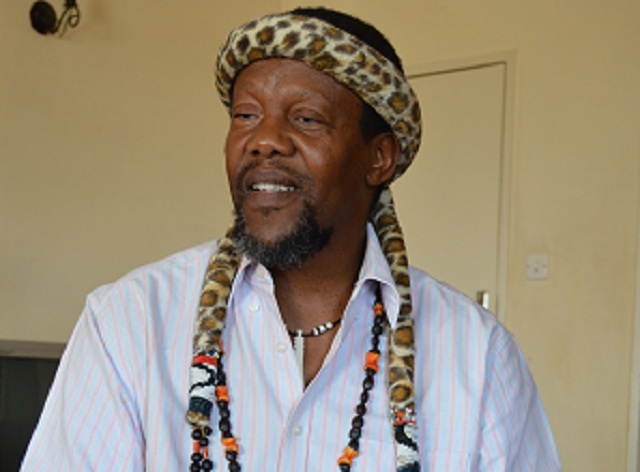 He started by announcing during the Mzilikazi Day Commemoration in September 2018 that Bulelani has been privately crowned as King. People believed him because they thought that he was speaking on behalf of RCC. Other Chiefs could not publicly humiliate him for the protection of Mthwakazi cause. He saw that as a weakness and he continued with his solo moves. He then went to SABC with Bulelani and made people believe that he was speaking on behalf of chiefs. People were so happy to see both men in SABC live news and failed to realise that the whole move undermined, isolated other chiefs and gave Bulelani power to reign without proper procedure. Bulelani thanked Khayisa by making him his indunankulu (Chief of Chiefs), meaning that Khayisa would not listen to anything from RCC since he saw himself as ndunankulu. RCC apponted Chief Fuyane to be Mthwakazi Chief in South Africa, this was a threat to Khayisa who had made many solo trips to South Africa and staging publicity stunts to gain attention. Khayisa's post as a ndunankulu of the uncrowned Bulelani has made him to undermine Fuyane's South African jurisdiction by calling a Mthwakazi meeting on the 9th of March 2019 in Berea without the official knowledge of Fuyane and RCC. This time he has even manipulated the ailing Chief Maduna to come with him. He knows that people love Chief Maduna. His meeting will also be about Gukurahundi, a very sensitive issue that may draw attention of people and nothing to be done after. In the whole process, Khayisa will be the winner and he will continue doing anything to put him on spotlight, even if that thing divides and destroys Mthwakazi. I urge all patriotic Mthwakazians to look into this matter seriously because more and more people are leaving Bulelani camp because of Khayisa's tendercies. Something must be done otherwise Khayisa will achieve what ZANU has failed to achieve: to totally wipe Mthwakazi progressive efforts.